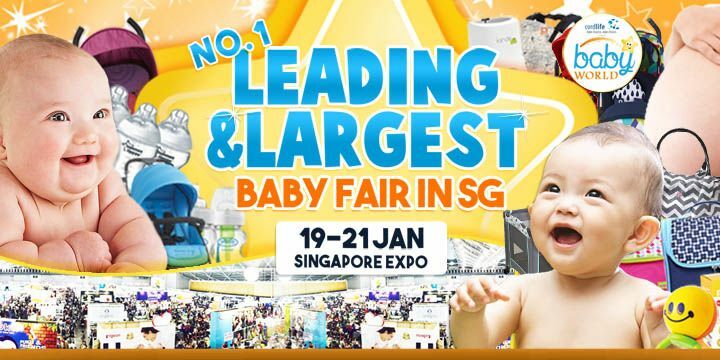 Leading & Largest Baby Fair 2018. The Baby Fair 2018 every parent is waiting for! This mega baby event brings together the best and biggest names in the maternity, baby and family industry. With 150,000s of products from over 1000s of leading and boutique baby brands, this Mega Baby Show gives a huge range of choice to new and expectant families. Find all your essentials—prams, buggies, travel systems, car seats and nursery furniture as well as lots of stylish, handy and innovative products from adorable clothing to feeding accessories. There is no better place to try products, compare brands and get demonstrations from experts so you can make informed buying decisions. Brands include Medela, Philips Avent, NUK, Mustela, BabySafe, Micuna, Bright Starts, Ingenuity, Recaro, Cosatto, Joovy, Babyhome, Tommee Tippee, VTech, Graco, Fedora, Aprica, Britax, Joie, Maclaren, Quinny, Safety1st, FisherPrice, Combi, Chicco, 4moms and More. Enjoy Massive Savings on the best deals at unbeatable prices with exclusive show offers on lots of baby essentials and save time by getting everything all in one trip! Grab all Unbeatable Deals and Amazing Prizes at the Baby World Fair website.